This article is inspired by brigadier Kuldeep Singh Chandpuri, who died this week. He and his company of around 120 soldiers were the central figures in defeating a Pakistani invasion force thirty times larger. 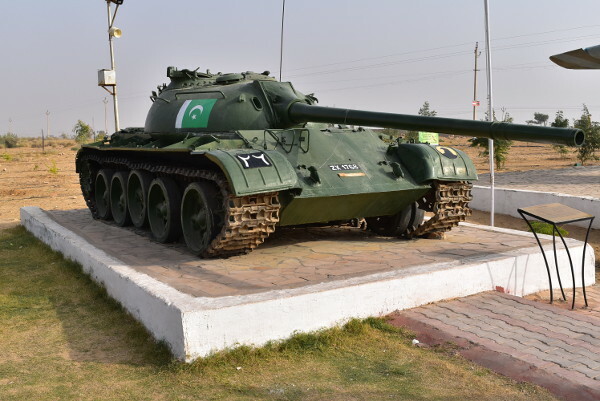 The place: Longewala, Rajasthan, 16 km from the Pakistan border. The time: The night of December 4, 1971. A reconnaissance platoon led by Lt. Dharamveer Singh of the 23rd Battalion of the Punjab Regiment detects noises coming from across the international border, suggesting a large number of armoured vehicles approaching Longewala. The platoon radios the information to their leader Major Kuldeep Singh Chandpuri, who passes on the information to headquarters in Ramgarh. An Army Air Observation Post aircraft soon confirms that a 20 km long Pakistani armoured column is advancing in the direction of Chandpuri’s post in Longewala. The massive enemy column includes 3,000 soldiers, around 60 Chinese made T-59 tanks, dozens of armoured personnel carriers and more than 500 trucks plus other vehicles. The Pakistan Army has created an entirely new division named 18 Division, comprising two infantry brigades and two armoured regiments, in order to grab a chunk of Indian territory. The Pakistanis planned to “have breakfast at Longewala, lunch at Jaisalmer and dinner at Jodhpur”. Directing Lt. Dharamveer Singh to tail the Pakistani column, Chandpuri requests urgent help but the battalion headquarters says reinforcements will take at least six hours to reach him. Having no other option, Chandpuri and the 120 men under him prepare to hunker down in their trenches. They also lay anti-tank defences and barbed wire in front of their post. 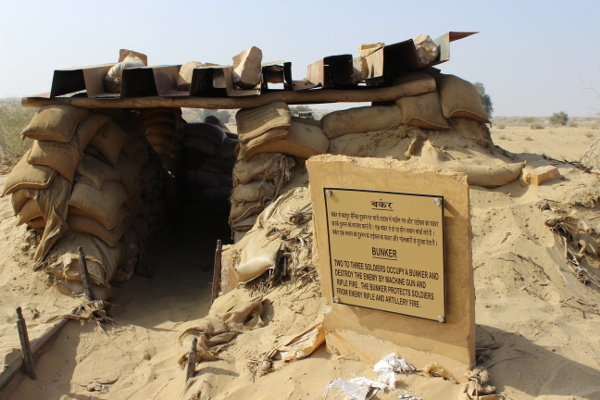 A bunker used by Alpha Company of 23 Punjab at Longewala. The Pakistani forces begin their attack at 2:30 am. Against the might of 60 enemy tanks plus armoured personnel carriers and guns, the Indian post has only a couple of medium machine guns and a single jeep-mounted 106 mm recoilless rifle. As the column nears their post, Chandpuri’s men hold fire until the leading Pakistani tanks are only 15-30 metres away. They can now hear the Pakistanis talking. In the dead of the night, as the Indians direct concentrated fire at the leading tanks, there’s utter mayhem in the enemy camp. The Pakistani officers believe they have run into a large Indian defending force. Some of the enemy soldiers panic and in the darkness run into the barbed wire, beyond which they think lies a minefield. This stops the armoured thrust in its tracks as sappers are called into clear the path. The Pakistanis then attempt to drive around the post but at this point the invasion turns into disaster. Due to a combination of lack of adequate planning, battlefield confusion, nerves and their tanks getting stuck in the sand dunes, the column stalls. Plus, the Indian soldiers are taking shots with whatever they have. So far they have destroyed 12 Pakistani tanks. With the flat yellow desert terrain leaving no place for Pakistani armour to hide, the tanks and vehicles are juicy targets for the IAF jets that repeatedly dive into action with their rockets and 30mm canons. The attack continues unabated for two full days during which the IAF destroys 36 tanks and more than 500 vehicles. IAF officers described the air attack at Longewala as a “turkey shoot”, indicating how easily the jets hit the Pakistani tanks. Colonel J. Francis in his book ‘Short Stories From the History of the Indian Army Since August 1947’ writes that the proportion of casualty suffered by tanks and infantry was the highest after World War II. 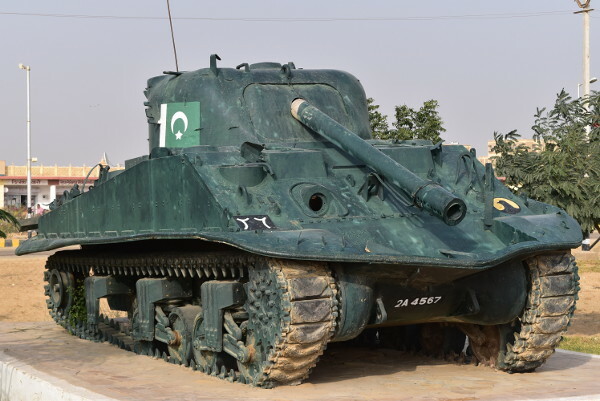 In fact, the approximately 45 tanks knocked out at Longewala was the largest single-day destruction of tanks after World War II, a record only later bettered by the US Army (and allies) against Iraq in Gulf War I, 1991. But Bawa says the handful of men of 23 Punjab could not have possibly fought such a big enemy. “Had they fired one bullet, they would have revealed their position and none of them would have survived,” he said. Major General (retired) Atma Singh was a major commanding the No. 12 Air Observation Post, tasked with directing close air support firepower toward enemy targets. In his book, ‘Battle of Longewala: The Real Story’, he wrote that it was the IAF that attacked the Pakistani column – after the army had vacated the post. Rakesh is primarily a defence analyst. His articles have been quoted extensively by universities and in books on diplomacy, counter terrorism, warfare, and development of the global south; and by international defence journals. 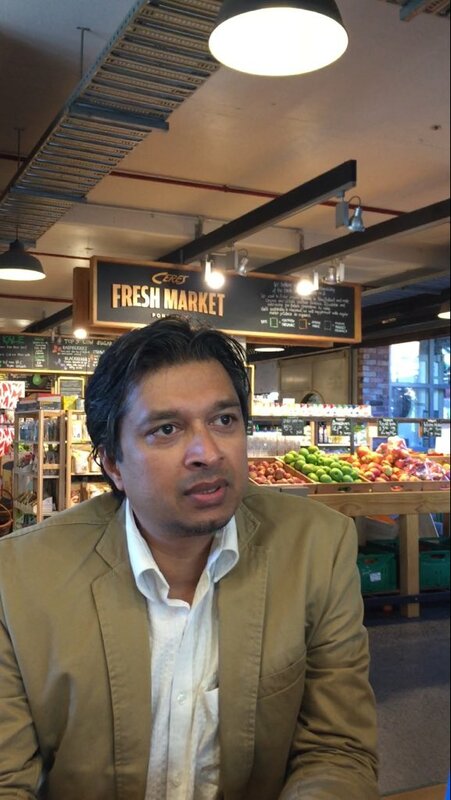 Rakesh’s work has been cited by leading think tanks and organisations that include the Naval Postgraduate School, California; US Army War College, Pennsylvania; Carnegie Endowment for International Peace, Washington DC; State University of New Jersey; Institute of International and Strategic Relations, Paris; BBC Vietnam; Siberian Federal University, Krasnoyarsk; Centre for Air Power Studies, New Delhi; Institute for Defense Analyses, Virginia; International Center for Not-for-Profit Law, Washington DC; Stimson Centre, Washington DC; Foreign Policy Research Institute, Philadelphia; and Institute for Strategic, Political, Security and Economic Consultancy, Berlin. His articles have been published by the Centre for Land Warfare Studies, New Delhi; Foundation Institute for Eastern Studies, Warsaw; and the Research Institute for European and American Studies, Greece, among others.